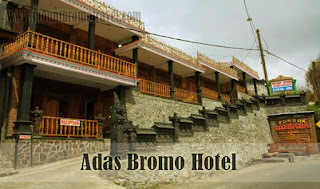 If you are planning to travel to Bromo with low budget, Adas Bromo hotel can be the good choice. Choosing inns in Bromo is not a difficult thing. The area around Bromo has many choices of hotels and guesthouse. In order to choose the hotel in Bromo, you’d better to adjust the in with the shortest distance to the sites. In Cemoro Lawang, there are hundreds of hotels, inns, motels, and guesthouses with the various prices from low cost until expensive price. One of the hotels in Cemoro Lawang is Adas Bromo hotel. This hotel is the newest inn that opened in the mid June 2014. And this hotel has a commitment to provide the best services for visitors. The accommodation at this hotel is desiged with modern traditional classic style combination. The location of the hotel is located in the “Highway Cemoro Lawang Bromo, Ngadisari Village District Sukapura, Probolinggo, East Java”, which is exactly 500 meters from the entrance to the park area of Mount Bromo tourism destination. Therefore, choosing the hotel that close to the destination will save more time, money, and stamina. So you do not waste a lot of stamina due to travel to further destination. It is important to make sure that the hotel provides the complete facilities. Mostly, the hotel in Bromo will offer the special price for the customer who booked the hotel long time ago. Especially in Bromo, the climate is cold. So it is better to choose the hotel that offers the hot water facilities in the bathroom. And also the hotel must offer the hot water in the room or in the canteen. More than that, the tourist must also convince the each room provides the thick blanket. Adjust to the budget you have. The average price of the hotel in is about $50 up to $70. For people with low budget it is better to avoid staying in the holiday season and the end of the year because the prices will be high. In this part, the tourist can choose Adas Bromo hotel because this hotel is very suitable for the tourist who travel to Bromo.